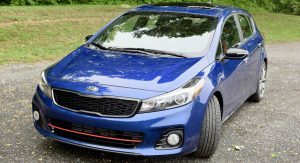 Kia has become synonymous for its value-packed economy cars, yet in the past few years it’s been constantly improving with better products that don’t rely just on their price. 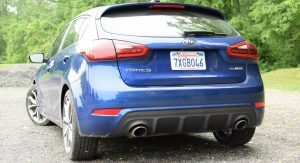 Now, it’s launched a full-on assault, starting with the Stinger, which has been met with universal praise. 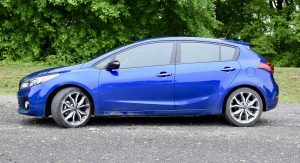 Look a little further down the line, though, and you’ll land on one of the best-kept secrets in the sporty compact hatchback segment: the 2018 Forte5 SX. 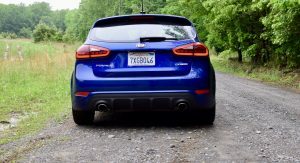 The hot hatch segment is hotter than ever with entries from Volkswagen, Ford, Hyundai and Honda. 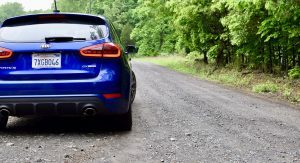 While there are some newcomers, the majority of sporty hatchbacks have lasted the test of time, making it easy for some models to go unnoticed. 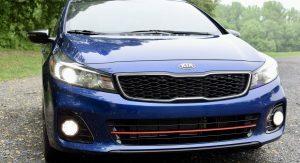 The Forte5 SX has been around since 2011 and Kia’s been making changes here and there, trying to turn it into a credible alternative to the established players. 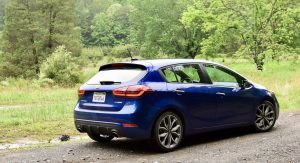 With the latest Forte5 SX, Kia hasn’t attempted to rewrite the book on what a sporty hatch should be, but has given its SX trim some sportier touches in addition to packing it with numerous features. 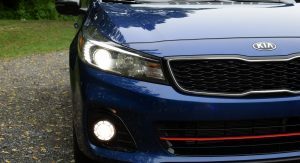 The car is also Kia’s way of revealing that it’s been listening to feedback and making improvements. 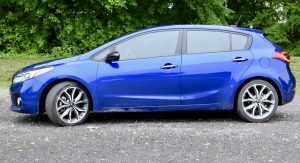 Just like other sporty hatches, the Forte5 SX isn’t a heavily-reworked model from the regular Forte5, which it shares a lot of the same DNA with, but it does have a few goodies that make it much more enjoyable to drive. 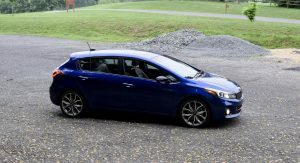 The last-gen Forte5, especially in the SX trim, wasn’t a bad vehicle by any stretch of the imagination. 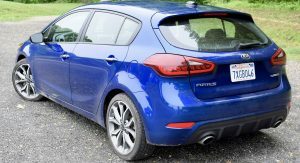 But up against the likes of the VW Golf GTI and Honda Civic Si, it lacked the sense of sportiness that makes those options so popular. 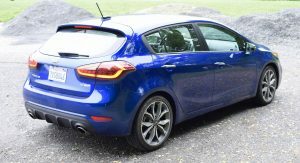 For the latest variant, Kia listened to the complaints, adding a dual-clutch gearbox and firmer components to tighten up the dynamics. 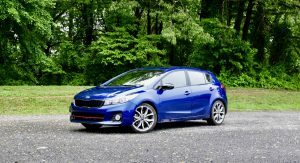 The changes have worked, making the Forte5 SX way more enjoyable to drive. 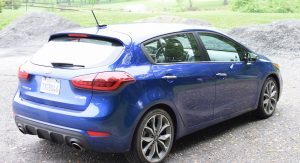 However, it’s still not as engaging or as fun to drive as the aforementioned options. It’s not far behind, though, and it has its own strengths. 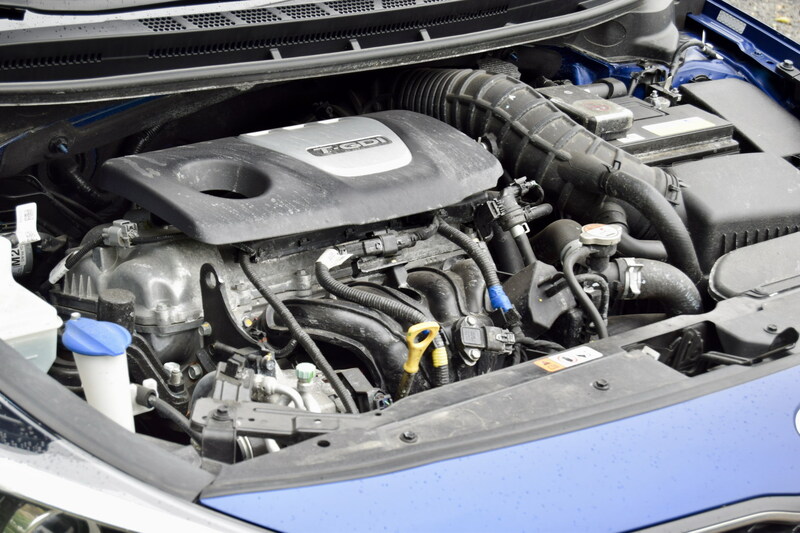 Under the hood, the Forte5 SX features a turbocharged 1.6-liter four-cylinder that produces 201 horsepower and 195 pound-feet of torque. 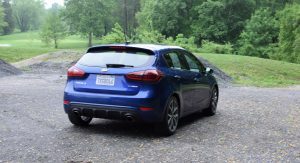 That’s 37 more hp than the standard 2.0-liter inline-four found in lower trims. 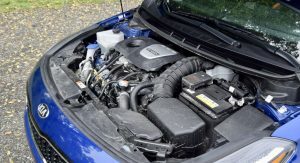 While having more power than the entry-level engine is a good figure for bragging rights, the way the motor delivers its grunt is the really enjoyable aspect. 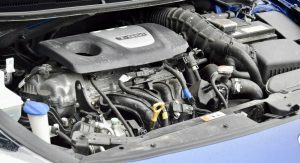 It’s a peach of an engine, making the majority of its oomph from 2,500 to 5,000 rpm in one big juicy lump. 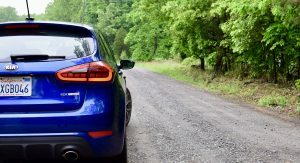 If you’re not prepared, it might surprise you, pinning you in the back of the seat with an urgency that’s befitting a hot hatch. 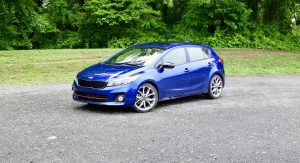 The numbers match the feeling from the seat, too, as the Forte5 SX can get to 60 mph (96 km/h) in roughly 6.7 seconds. 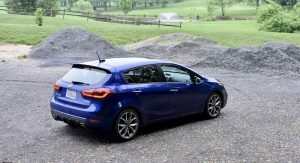 To go along with the punchy little motor there is an athletic chassis that enjoys being flung around. 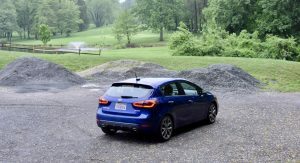 Unfortunately, when we were driving the car, Northern Virginia was being hammered by three days of continuous downpour. 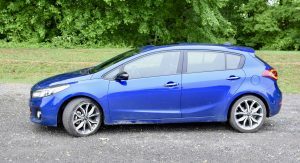 Even in those conditions, the Forte5 SX felt great around corners; surefooted, agile, and eager to please. 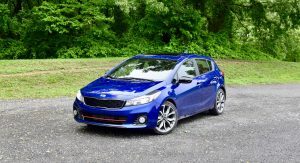 The engine isn’t the only major component that helps inject some sportiness into the Forte5 SX. 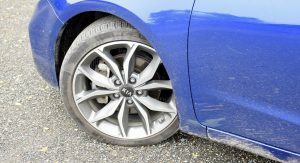 The car’s firmer suspension results in a ride that straddles the line between firm and comfortable. 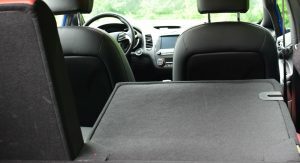 Large bumps don’t unsettle the car, while body roll and lean are kept to a minimum. 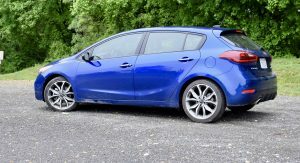 On a good set of windy roads, the Forte5 SX really does feel quick – for what it is. The great thing about it, though, is that it’s also comfortable on the highway. 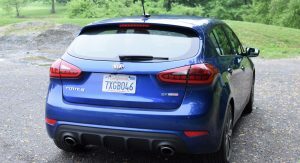 We racked up roughly 250 miles in just highway driving and Kia’s little hatch impressed there as well. 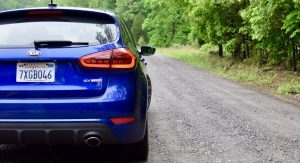 The gearbox was eager to kick down to make passing a breeze and I personally think accelerating from 40 to 60 mph and 50 to 70 mph is one of the car’s strong suits. 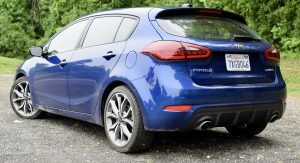 The Forte5 SX is also quiet and refined at high speeds, which are usually things that sportier vehicles tend to sacrifice for the added benefit of an extra dose of sportiness. 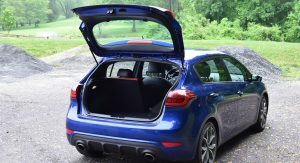 There’s also the major upside of having nearly everything you could ever want in the vehicle. 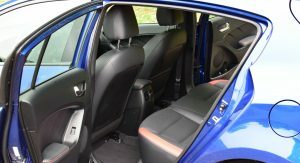 The press car that we tested was fitted to the gills thanks to the addition of the optional SX Premium Technology Package. 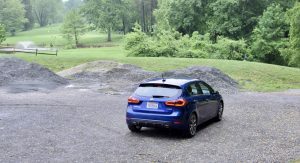 At $3,600, it’s not cheap, but it brings things like ventilated seats, dual-zone climate control, a power sunroof, blind spot detection, and a 7.0-inch touchscreen with navigation. 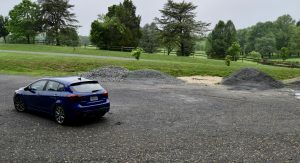 Sure, you don’t really need any of those things, but as anyone that’s had to sit in the three-hour stop-and-go drive from Baltimore to Washington, D.C. can attest to, they’re nice to have. 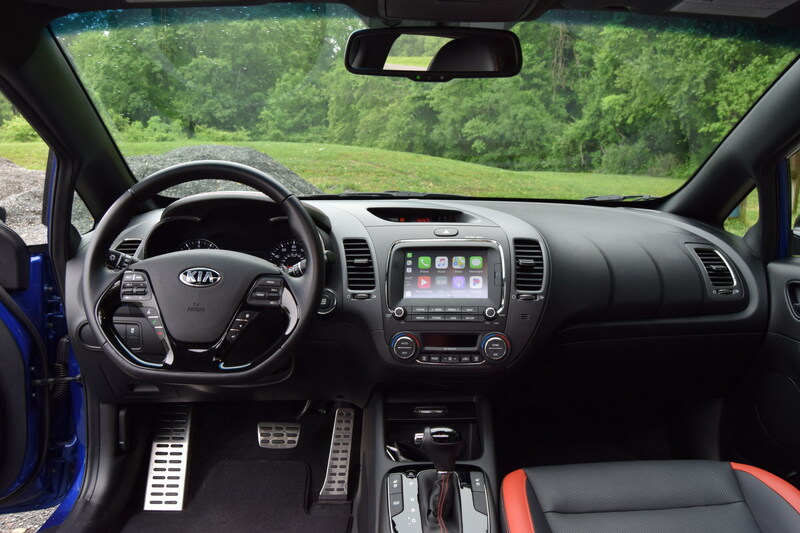 In addition to having it all, the interior is a relatively nice place to be. 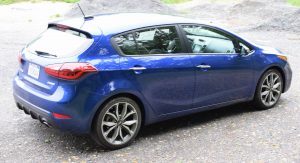 The seats are comfortable, except for the lumbar support, there’s a lot of interior space, especially in the back, and things that you continually interact with, like the flat-bottom steering wheel, infotainment buttons and alloy pedals, all feel really good. 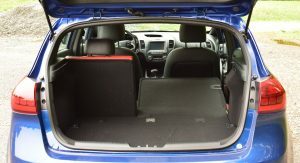 There’s also an excellent amount of cargo capacity that rivals some compact SUVs. 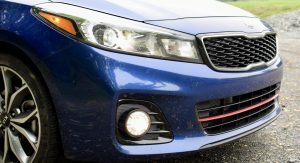 The Forte5 SX feels like it’s worth $28,490 and if you can live without the SX Technology Package, its starting price tag of $24,890 makes the car more attractive. 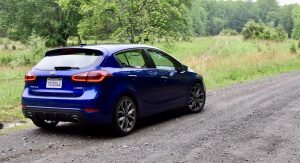 Despite being sportier than expected on curvy roads, there are some glaring things that held me back from falling in love with the Forte5 SX. 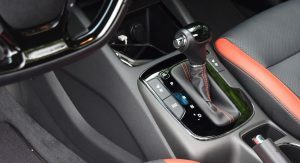 The first and most detrimental is the car’s seven-speed dual-clutch transmission. On the highway or at higher speeds, the gearbox performs like a skilled sous chef, providing exactly what you need when you need it. 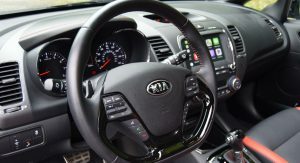 The steering-wheel mounted paddle shifters may not feel that good on the fingertips, but pulling them results in a quick shift. Slow things down and the pitfalls of the gearbox become abundantly transparent. In stop-and-go traffic the car jutters and shakes, lacking a sense of refinement that others in the segment have. Also, not giving the car time to warm up makes the car buck like a Bronco when reversing. 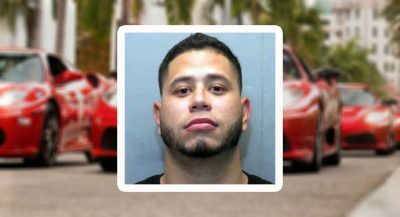 Parallel parking is also difficult, as the transmission is jerky. 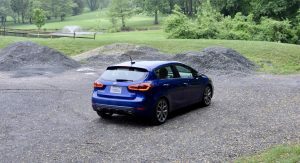 Blame the rain, the slick roads, or the Forte5 SX’s bespoke Nexen CP671 all-season tires, but hard launches result in wheel hop and a copious amount of wheel spin. 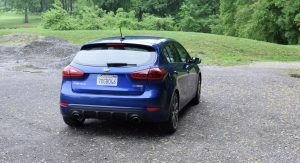 Mash the throttle while the car’s in a lower gear and the tires will chirp a little, too. 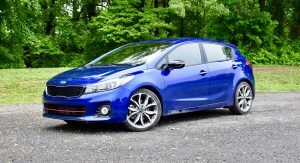 If you wind up settling on the Forte5 SX, the first thing I recommend doing is putting on a new set of high-performance tires, as the engine’s output and the way it delivers its power easily overwhelms the stock items. The flat-bottom steering wheel may look and feel great to hold, but the information it’s relaying back to you is vague – at best. 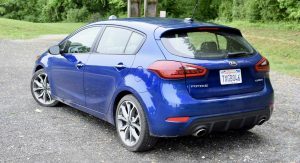 Switching the hatchback into its Sport setting doesn’t fix the issue either. 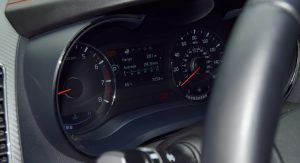 In fact, the only difference I felt with Sport mode engaged was a slightly more responsive throttle pedal. With such a small perceivable difference, I’d rather not have the button at all. Lastly, there’s the issue of interior quality. 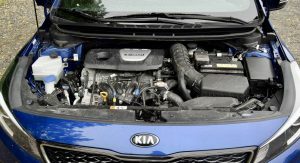 The Forte5 is the second most affordable vehicle in Kia’s lineup, and despite being the most expensive model in the family, the SX doesn’t come off as being high end. 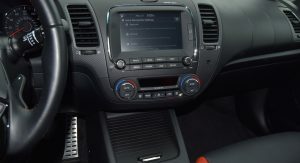 Plastics make up the majority of interior trim pieces, while some fake carbon-fiber like materials, which are terrible to look at and touch, are scattered throughout the cabin, . 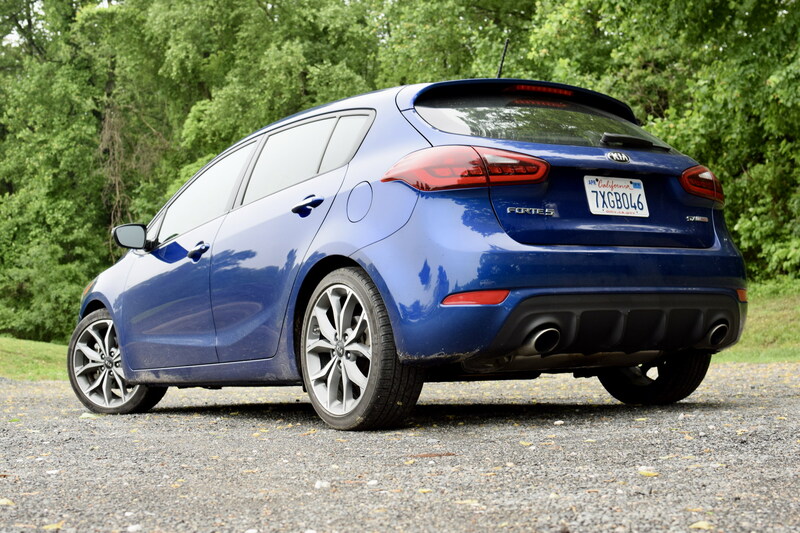 I went into driving the Forte5 SX thinking that Kia would be bringing a good amount of features and tech to the vehicle, but I wasn’t expecting it to be as fun or as quick as it was. 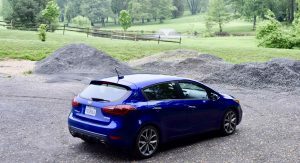 While the hatchback’s fun, it lacks the same engaging feeling as others, missing out on being a real hot hatch. 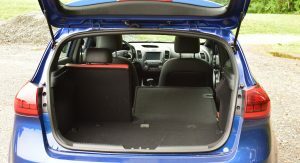 It does, however, offer more tech and luxury features, as well as more interior space. 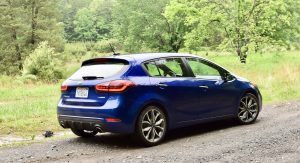 During my time with the car, I never saw another Forte5 SX on the road. 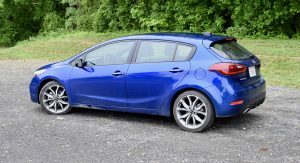 There were plenty of Golf GTIs, Fiesta STs and Focus STs, but we didn’t see another SX-badged Forte5. 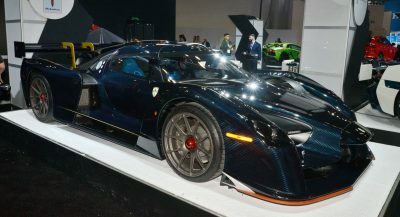 That’s a shame, because this car is definitely impressive. 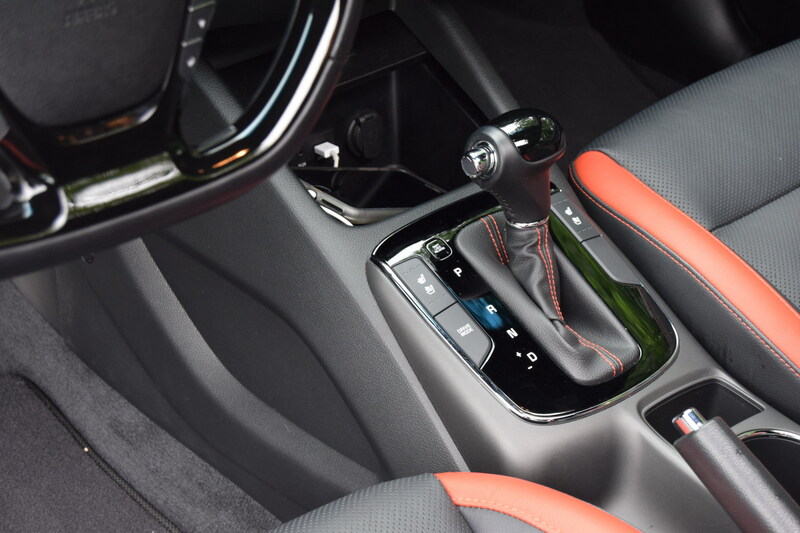 Just go with a six-speed manual and all is well. 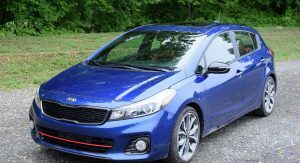 If anything, the 2018 Forte5 SX is concrete proof that Kia actually listens to criticism. Ask for something sportier and it delivers. 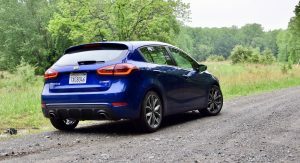 No, the Forte5 SX isn’t on par with the aforementioned hot hatches, but it’s a fun car to drive – period. 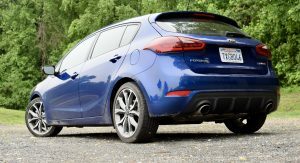 After experiencing the old model, we’re curious to see what changes Kia makes to the new 2019 Forte that we really hope comes back as a hatchback, too. 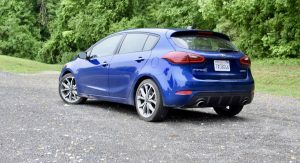 Ummm…kind of a late review, considering that the all-new Forte is a few months away. 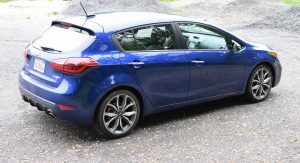 Although word has not come out re: the Forte5, I’m sure there will be one. In terms of hatches on the road right now, this thing feels ancient. The interior is especially dated looking. It’s been around since 2014 and the 2013 Ceed in Europe was way better at the time and is STILL way better. 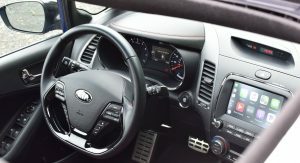 The interior on the 2013 Ceed looks like it fits with current KIA interiors. This interior looks like it is 10 years old.